Suzanne Hollander Professor Real Estate® says, “Don’t Give Up the Ship!” at the United States Naval Academy in Annapolis, Maryland. “Don’t Give Up the Ship!” means “Keep Going-For-It, Don’t Give Up!” It’s positive MOTO (motivation), especially important now. Like you, everyone has a “Ship,” Something Important to Do. You may wonder, Can I really do it? Should I Give Up? Professor Real Estate® believes in You and Your Goal and says, “Go For It…” Don’t Give Up Your Ship!,” no matter if you have a personal goal or a real estate goal like ones below. Click here to tell Professor Real Estate® Suzanne Hollander what “Don’t Give Up the Ship!” means to You! Professor Real Estate® helps and inspires clients, followers & students not to give up their “Ships” and to Go For It! and (1) build credit to get a loan; (2) buy a home; (3) help a parent or child buy, sell or rent; (4) buy a home before & after a divorce; (5) buy a vacation get-away & enjoy it; (6) renovate a property; (7) buy income producing property; (8) get zoning and/or land use approvals; (9) reduce property taxes. Keep Professor Real Estate®’s “Don’t Give Up the Ship!” image and Belief in You, in mind, when You work on what’s Important to You! 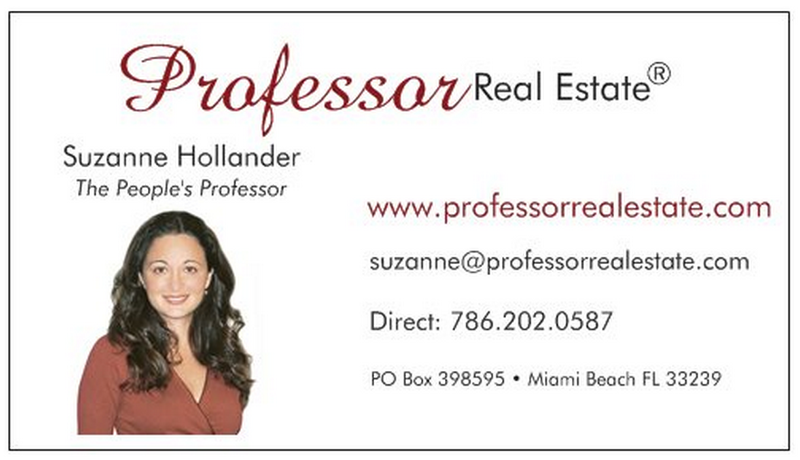 Contact Professor Real Estate® Suzanne Hollander for help buying and selling real estate and for real estate coaching and empowerment. Professor Real Estate® Suzanne Hollander provides real estate education to the nation to help everyone make smarter real estate decisions. Suzanne Hollander is a real estate attorney, broker, educator and commentator and a a voice for real estate, housing and property rights, frequently quoted in the media, including Wall St. Journal Money Watch, YahooFinance!, Miami Herald, El Nuevo Herald, Wallethub, The Real Deal, Mercado De Dinero USA & Scotsman Guide Commercial Real Estate edition. Watch Professor Real Estate®TV for a sneak peek of real estate lessons! « Big Thank U! Your Vote Helped Tibor Hollo Win Real Estate Visionary Award by the Miami Herald!